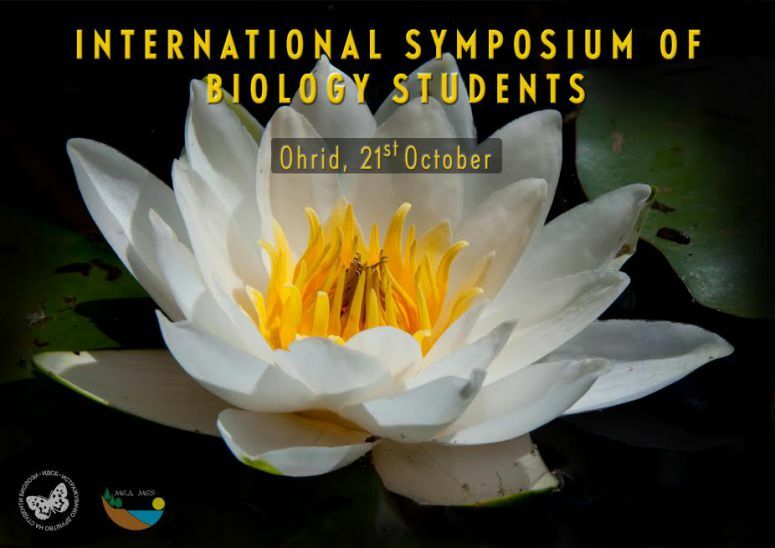 We are pleased to announce the 3rd Symposium of the Biology Student’s Research Society, which will be held on 19th-22th October 2016 in Ohrid. The Symposium will take place under the auspices of the 5th Congress of Ecologists of the Republic of Macedonia, which will be organised by the Macedonian Ecological Research Society. The host – Congress of Ecologists, will provide a platform for presentation of the latest scientific research in ecology in the countries of the Balkan region and South-east Europe; it will gather leading ecologists, conservationists, environmentalists and practitioners in forestry, agriculture, chemistry, economy and other related disciplines. The organisers will dedicate one-day session to the Symposium of Biology Students` Research Society. Hence, the students will obtain a great opportunity to present and promote their work in front of the international scientific society. In addition, the students will be able to exchange their experience and knowledge. All of the student’s presentations should be prepared as posters. Only selected submissions (selected by the Organization Committee) may be presented as oral presentations.